So for this one, I made a new character. I haven't given him a name yet, but he's a chef and his cutie mark is a spoon. 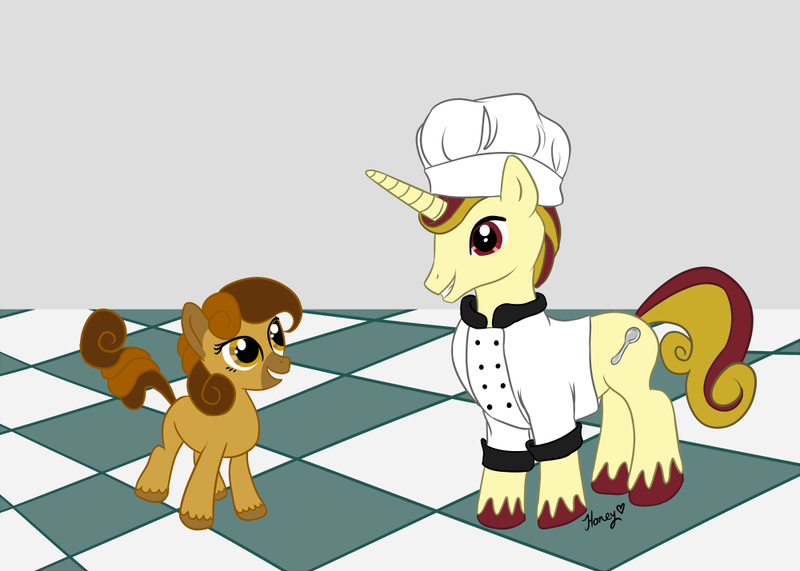 Really excited filly and a chef happy to see a young one so excited about cooking.